On a related note, we pushed a major site update to JDSLabs.com last night. Please call, email, tweet, or reply below if you encounter any browsing issues. C5D is entirely complete and ships immediately! We temporarily paused production to make a final tweak. Shipments resume no later than November 22. C5D adds an outstanding PCM5102A DAC and extra bass boost level to our C5 headphone amplifier. Both C5 and C5D are built for portable users who demand exceptionally low noise, sufficient output power, and a super fine volume control to handle sensitive headphones and IEM’s. Our goal for C5D is simple: Merge a reference grade DAC with C5, valuing performance and compatibility over superfluous features. C5D works natively with iPhone, iPad, and all devices and operating systems which support UAC1. USB Audio Class 1 (UAC1) is the widely compatible standard for transmitting digital audio over USB. UAC2 is required to go beyond 24/96 audio, but UAC2 support remains limited and requires special drivers for Windows XP/7/8, etc. In other words, connecting a UAC2 DAC becomes more involved and potentially buggy. It’s easy to understand why audiophiles develop specification wish lists such as 32/384kHz PCM via UAC2, or DSD, or asynchronous operation. The numbers and algorithms look really impressive. But ultimately, you can’t utilize 32/384 audio when your music collection is the bottleneck. It makes perfect sense from a marketing standpoint to enable the latest features on a new device. Fortunately, we’re engineers and not marketers. C5D’s hardware actually supports DSD and 32-bit audio. We disabled both. UAC2 breaks compatibility with many portable devices, and C5D needs to work out of the box with phones and tablets. Plus, transparency is achievable through UAC1 and fully utilizing 24-bit depth can be unrealistic. So instead of giving C5D compatibility limiting UAC2 features, it’s configured for awesome performance under UAC1. And we still managed some interesting characteristics–galvanic isolation, asynchronous operation, and a low latency jitter filter. C5D’s new DAC circuitry fits in previously unused space beneath the battery, so size remains identical to C5. The PCM5102A DAC and SA9027 controller pack incredible performance in this small space. Also next to the USB jack is a new toggle switch. Flipping this switch right allows C5D to charge. Flipping the switch left makes use of the ADuM3160’s air core transformer technology to operate C5D in self-power mode*. That is, the DAC runs from its own battery when connected to a portable USB audio player. This is known as galvanic isolation, and it cleverly prevents the DAC from being subjected to noise on the USB +5V rail. Self-power mode also gives C5D maximum flexibility with portable devices since most smartphones and tablets disable USB devices that consume too much power. * Full isolation is utilized with low power USB devices. C5D enters a hybrid self-powered mode when connected to strong USB devices, only consuming extra power. DAC performance is identical in all power modes. Just weeks before we approved C5D for production, I received word that a code update could convert C5D from adaptive to asynchronous operation. Features are always second to performance at JDS Labs, so we repeated all benchmarks. Jitter measures slightly better at -112dB in async mode, and is the only standard test that revealed any difference from adaptive mode on C5D. All other benchmarks returned identical results. Thus, C5D ships in asynchronous mode. Asynchronous mode and galvanic isolation together make C5D a rare UAC1 DAC. These features make it highly self-reliant, generating its own clock and power. 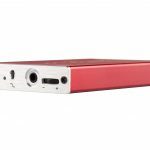 DAC measurements were obtained by hardwiring a line-output jack to C5D’s PCM5102A output for connection to our dScope Series III audio analyzer. Frequency response is excellent, with negligible rolloff of 0.1dB in the final octave of human hearing. The DAC’s line output crosstalk measures at -86.1dB, outperforming our reference requirement of -80dBFS. Note that crosstalk is limited by 3.5mm cables in actual use (still excellent). IMD CCIF: 19kHz + 20kHz, -7dBFS. The PCM5102A DAC used in C5D features a configurable low latency filter. In testing, we’ve observed no significantly audible difference. C5D ships with its Low Latency Filter set High. C5D’s firmware is released freely under the Creative Commons BY-SA 3.0 license. Refer to line 55 if you wish to experiment with the PCM5102A’s LLF feature. Note that a programmer and pogo pins are required for DIY tinkering. C5D’s amplifier and supporting power circuitry is identical to that of C5, with the exception of an additional bass boost level and smaller output resistors. Output impedance of C5D has improved to 0.62Ω. This specification change minimally impacts overall performance, and ensures neutral operation with low-impedance balanced armature IEMs. We considered developing C5D for fully native operation with Android, and discovered the goal is presently futile. Even a DAC designed for native functionality via Android’s Open Accessory Protocol remains limited to 16-bit, 44.1kHz operation. And even then, support is not 100% guaranteed across all Android devices! Only an app like USB Audio Recorder Pro unlocks full 24-bit digital audio, by utilizing alternative drivers. C5D works with every Android device we’ve tested under USB Audio Recorder Pro. We met a few Android users at the 2013 CanJam who successfully used C5D natively (i.e., with any app). Some Android phones and tablets output UAC1 natively. Others require special ROMs or apps. Guaranteeing DAC operation with all Android devices is currently not realistic. Since Android is opensource, it’s definitely possible to enable 24-bit digital audio output on any Android device. Hopefully Google will make UAC1 output standard in future Android updates to simplify the user experience. The good news: C5D is self-powered, so its power consumption is not a limitation. You’ll only need to enable digital audio output on your device if it’s not already available. C5D works out of the box with iPad and iPhone! Apple has finally enabled UAC1 output as of iOS7. You simply need a Camera Connection Kit cable. C5D is self-powered, so power consumption is of no concern. On the shopping cart, I am unable to select another country, it is stuck on USA. Is that a website/browser error or intentional? What browser and version? All works fine here. The country list might be stuck on United States if the page hasn’t finished loading. Thanks for the note. Let us know if you still have trouble. Just tried it again, country list is working now! Those bass boost graphs look awesome. A very welcome addition to the already awesome c5 bass boost. Where/when to expect reviews of the C5D ? Spec wise is a perfect alignment for me. But I never buy without at least 2 reviews. I’m looking forward to reviews ! Can you explain a bit about the choice with volume control on C5D ?It is not cheaper and more reliable to be controlled by source ? Thanks. florin: It’s always best to set a high source volume, and control listening level at the amplifier. This method presents maximum signal quality and dynamic range as the signal enters the amplifier. Most DACs perform best at -1dB (close to 99% source volume), so setting a lower source or DAC volume is less ideal. It would be poor practice to build an amplifier without a volume control. We may publish a longer article on this subject later. The volume control in C5D is the same high performance, digital stepped attenuator as implemented in C5. You need to consider quite seriously a C5 buy-back/trade-in program! 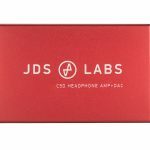 The C5D looks like it’s another JDS Labs triumph. Congrats. And thanks for explaining about UAC1 vs. UAC2 and their strengths and limitations. This non-engineer gretly appreciates it. If only every company is like this…. And this is why I bought the C5 amp (and my other amp is the O2 amp). So far I’m liking every aspect of the amp, especially the galvanic isolation feature. Just one question/confirmation: If my android device is able to work NATIVELY (I understand not all android device can, but since my S3 is able to work with the Xduoo dac/amp, I believe it can with the C5D too), does that mean the output is automatically 16/44.1? And if I want 24 bits, I’ll need a custom app? I know that the LG G2 is designed to output 24 bits audio through its own DAC but I wonder if you use an external dac with it like the C5D, will the audio be 24 bits too or back to 16 bits? Edit: Just read that the LG G2 doesn’t support 24 bits via usb support. Guess I’ll have to download the USB Recording Pro that you mentioned. Correct, C5D will definitely work with Androids known to be compatible with other DACs. Android generates 16/44.1 audio by default. Manufacturers may customize the OS differently, so 24-bit audio is hypothetically possible outside of special apps like USB Audio Recorder Pro. I’ll recommend having another column stating the quality of usb audio output by the device. So for example, the LG G2 (and most likely the Samsung S3) output will be 16 bits, but there might be some other android device out there which may be programmed to give a 24 bits output without the need of special apps like you mentioned. Bit depth column has been added. This document is shared for public editing, by the way. Are you saying it’s best to leave the source at near max volume? For example, an iPod? I didn’t think it mattered since the amp controls volume – and when connected, changing volume on the iPod does nothing – at least nothing I can hear. Bob: Yes, it’s best to leave the source at or near maximum volume when using a source that allows volume adjustment. An iPod LOD cable is different. This signal is already at maximum, line-level volume. The C5D looks really great! 1. When connected to an iPhone 5S’s lightning port via the Camera Connection Kit cable, will the volume bar (and thus all volume adjustments) disappear when you power up the C5D and start listening to music? I know that the Sony PHA-1 other DAC/Amp combo’s designed for use with the iPhone and iPod work this way, but I don’t know what protocol they are using. I suspect it is different (not UAC1?) since they were available pre-iOS 7, and you say Apple only just enabled UAC1 output in iOS7. So I’d just like to know if (and how well) the digital out is integrated into the iOS–does the volume bar disappear? 2. In order to connect to an iPhone or iPod, one must use the CCK, which goes from either 30 pin to female USB (or Lightning to female USB). THEN one must plug the USB to micro-USB cable into the CCK cable, the other end of which goes to the C5D. It’s far from being a deal breaker, but this is a bit inelegant. The Sony PHA-1 and CEntrance HiFi M8 have full sized USB ports on the back and thus just use a standard Lightning to USB charging/syncing cable. Is there a company that makes (or will JDS labs offer) a single Lightning to micro-USB cable? Or a C5D with full sized USB port? 3. I understand that the UAC1 protocol is something Apple finally enabled in iOS 7. What is the “status” of this UAC1 protocol? Will (can?) Apple decide to get rid of it in iOS 8, for example? Or is this more like Bluetooth AADP, which will just be a given, standard feature / ability of all iDevices sold in the future? Or is it somewhere in between? Or what? Any idea? None of these things are a big deal to me, no matter what the answers, but I was wondering even so. I don’t like the PHA-1, since it has 10 ohms of output impedance and channel imbalance at low volume. And the HiFi M8 is $699 (!!!). 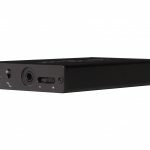 So the C5D is the DAC/Amp combo unit I have been looking for, I think, and I’m pretty excited about it! Thanks for making it! It’s a very nice looking unit, too! Thanks for the questions, Jim. 1) This is actually called “Hardware volume control”, which is a software flag that can be defined for the DAC. We enabled the flag so that volume can be controlled from devices like iPhone, iPad, etc. The volume control bar does *not* disappear. The signal transfer is entirely digital between iOS7 and C5D’s DAC. Having volume controls at both the source and the amp is simply convenient. 2) Yes, it would be nice to have direct Lightning-to-miniUSB. We’re seeking a cable supplier to fabricate custom cables. On a related note: we’ve handled production of > 5000 boards with micro-USB connectors, and they have proven more fragile than mini-USB connections. Thus, we insist on mini-USB for our portable amps. 3) While anything is possible from Apple, it would make little sense to disable UAC1 now that it’s been enabled and manufactures like us have leveraged its functionality. Consumers have been pushing Apple and Google for UAC1 support for a few years. We trust that Apple will keep UAC1 in future iOS releases. Great! Sorry to have confused mini and micro USB. The C5D has a mini-USB port, you are saying. Got it. So the hardware volume control flag you mentioned actually changes the DIGITAL level output from the DAC? Now that I think about it, that would make sense and would be exactly the same as controlling the volume to a Bluetooth speaker. It’s what happens with my Jambox Bluetooth speaker, at any rate. And YES, it IS nice to be able to control from both. Excellent. As long as one doesn’t lower the digital out volume too much, of course, as you mention. Re: 2, I’m guessing from your reply that you have no plans on providing a full size USB socket on the C5D? I suppose there isn’t enough space and/or that you’d need to put BOTH mini and full size. Obviously not practical, I’m guessing? Re: 3, excellent. That makes sense. 2) Space is indeed the limitation. If size was no constraint, full size jacks are preferred. Great News John! Excited to see the new amp+dac with the detailed specs! Great product in such a small package! Terrific job as always! Congrats! Quick question: I still see the audio jack input in the pictures… I assume C5D can also be used as a standalone amp (without the DAC) with old/unsupported mp3 players? please confirm. btw, the new website design looks great!! i do see from the tech spec. that c5d still supports analog input… great! (1) will the C5D battery run-time increase if analog input is used? (2) any plans for C5 Rev 2 with two level bass boosts?.. It seems the next logic step for C5… Thanks! Srini: Correct, the 3.5mm jack is an analog input to bypass C5D’s DAC. 1) C5D typically consumes a small amount of current in hybrid self-power mode (full isolation only with very low power devices). This means it actually has longest run time when using the DAC, and comparatively lower run time when operating only from its battery as compared to C5. The DAC is powered down in C5D when the USB cable is disconnected. Idle current remains higher due to supporting circuitry. The worst run time we observed was more than 7.5 hours from a, and best was well above 16 hours from an iPad. We listed C5D’s run time specifications conservatively. 2) Our next C5 production batch begins within 1 week. will it work with the Samsung S3 right out of the box? I dont mind 16/44. Serge: I believe Samsung’s S3 has native UAC1 output. We’ll post definite compatibility as customers provide feedback. You mentioned in an earlier post that you’re seeking a cable supplier to make custom cables. Do you have an idea in mind on the kind of custom cables that you’re looking to provide? Specifically, I’m looking for a 1-1.5 inch right angled mini to right angled micro usb cable that I can use to connect my smartphone and C5D together by placing one on top of the other in a stack. I have a 1.5 inch right angled mini to mini cable from my Xduoo XP1 amp that is perfect but since the C5D uses a mini usb port, I can’t use that cable. I haven’t been able to find one and the best I can find is a custom made one 4 inches one. Kite: Short cables are our goal, all about 1 inch (2-3cm). Awesome! When these are available I will order a C5D. Right now I am really interested in this product, but I have a few questions. 1) Regarding the UAC1, you said most portable devices now will only support UAC1, but isn’t the UAC2 device is backward compatible to the UAC1 host? Maybe enable UAC2 is better for the long run (for me its more playable). Although hi-res music isn’t popular even at 96KHz, some people might prefer the up sampling by a program, then played back by the DAC at very high resolution. 1) UAC1 and UAC2 require different source drivers. This is the limitation. If a source doesn’t support UAC2, yes, you nee to fall back to UAC1. This is most easily accomplished with a toggle switch, which would add cost and slightly more complexity and potential confusion at no audible benefit. Apple has UAC2 support in many devices. Our choice to use UAC1 is based entirely on maximum compatibility. Not all sources have native UAC2 drivers; most support UAC1. 2) You’re referring to a different device, and every DAC is configured and programmed differently. Ours works fine no matter how you connect it. We actually test all DACs in-house using a USB hub. C5D works great! Thanks for the reply here. That’s a good news for me that C5D will work with a hub. For the audio interface, I can see why most pro audio gear are towards Apple. I am a very content owner of the C5. With that being said I am definitely looking into purchasing the C5D. Will there be any “Cyber Monday” discounts (I think at this point any discount will be a hands down deciding factor in instantly adding it to my amp collection instead of waiting)? Thanks for all your hard work and dedication to continually achieving new standards/benchmarks in personal audio nirvana! Available sampling rates include 16/44, 16/48, 16/88, 16/96, 24/44, 24/48, 24/96. That’s weird… you really constrained the usb to i2s chip. There’s so many file 24/88 (Mostly come from SACD rip), I never heard 16/88 nor 16/96 sound files. Yvan: After you post, I checked our firmware configuration, and 24/88 kHz is enabled for the USB controller! Interestingly, Windows does not acknowledge this rate as an option. It is enabled. Thank you and sorry I insisted. I will order one shortly. And thank you for your patience and skill in electronics. Would it be possible to get a quick compare and contrast between the C5D and the O2+ODAC? I’m especially interested in what the difference in the sound would be. I am relatively new to the audiophile world and have yet to purchase an amp or dac, but I have heard amazing things about the O2+ODAC, but the C5D looks great as well. @Brendan: Quite a few users on Head-Fi have compared O2+ODAC to C5D. Here’s one such comparison from this morning. You can compare Technical Specifications between C5D and O2+ODAC on our site. In summary, C5D is a much smaller device intended for portable use. 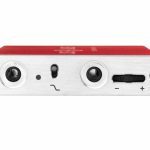 Its internal battery is rechargeable by USB, and its DAC consumes no power from the audio player (i.e., it works with many phones and tablets). O2+ODAC is considered a desktop device, since it’s much larger and strictly requires AC power for operation (no batteries). The advantage of its larger size is greater output power. O2+ODAC will drive all dynamic headphones on the market as well as some planar orthodynamic sets (LCD-2, HE-500, etc.). In comparison, C5D can drive IEMs and most dynamic headphones. Its output power is insufficient for demanding planar orthos. Within their respective output driving capabilities, C5D and O2+ODAC sound virtually identical. I’m unable to reliably differentiate between the two in blind testing. This was super helpful, thanks!! Hi! 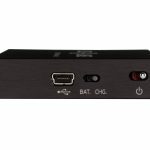 Could I use the little CD5 only as desktop amp/dac on Windows? I plan to keep it plugged in the USB port all day long at my workplace. So the USB cable bring the music from the hard drive to the CD5 and I plug my IEM headphones in the headphone output? I would prefer the CD5 over the O2+ODAC combo because its more small and discreet. Thanks! Sylvain: Yes, it’s perfectly safe to use C5D as a desktop device. Many C5D users do the same. Hey how long should the battery last? and how easy is it to replace the battery? Brad: The Li-Ion battery used in C5/C5D should last for a few years. It’s easily replaceable. Search eBay for “Cameron Sino CS-IPOD4HL”. Do you happen to know if this works with Linux (ALSA or PulseAudio)? 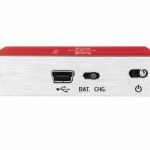 @mschuerig: Yes, C5D’s DAC volume control should be available in all operating systems. Hi, well I’ve recieved my C5D just this afternoon and I am indeed enjoying it with my fidelio X2 like never before , So thanks alot JDS LABS . For the record , I confirm to you The DAC is recognizable by PS4 since I couldn’t find a confirmation regarding it before . Once again thank you . Hi I’m looking for a Dac to work with my iPhone 6 running IOS 8.2 your C5D caught my eye after much searching. I have the excellent sounding MiniRigs speakers mounted each side of my headrest on my powered wheelchair & a Minirig subwoofer connected as well. At the moment I’m just connecting via a high quality 3.5mm stereo Jack to Jack to my iPhone 6 headphone socket and although the sound is very nice it is still lacking in depth and female vocals could be portrayed with more clarity. I have an Arcam FMJ 139 which I use just as a CD player & an Arcam amp both selected in direct CD mode to bypass any video circuitry. Chord anthem 2 analouge interconnects & Blackrodium speakers cables bi amped into a pair of Old but still excellent sounding AE109 speakers. So I want to improve my portable audio too. Has the C5D got its own volume control to save me digging my iPhone out of it case on the side of my wheelchair & do you think it will be a a complement or mismatch to to my existing Minirig/iPhone setup? Hi Mike: Yes, C5D features its own volume control. I have no experience with your Arcam, so I’ll refrain from commenting on pairing. Hi, one quick question: can anybody share experience on pairing this and AKG Q701? Would be nice to hear from anybody who actually has/has heard this setup extensively (not merely “maybe” or “I heard” or “I think” ). If matters, I listen to 99% Classical and Opera. Symphonies, concertos, and such. I’m eyeing this c5d and quite subjectively do so out of respect for your work and passion. Problem is where we live no retailer stocks this and thus no way we can have an audition (hence subjectively and the question). Again, I feel your passion and would love to support your work. Thank you for your wonderful effort! Can these drive Sennheiser HD600s? 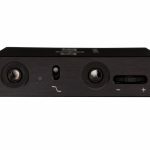 @Bakyt – Sennheiser HD-600s are rated 97dB/mW @ 300 ohms, so they need about 20-63 mW of power to reach a plentiful dynamic range, depending on your listening requirements. C5 can deliver at least 40mW into HD-600s (over 110dB listening volume). While a stronger amp will push HD-600s to higher volumes, C5 is a fine match for light to moderate listening levels. I’m really enjoy the quality music of C5D. This is really necessary when I want to use C5D with my speaker, home theater. – Support external supply power (such as: AC 14-20V, DC 12V,…). Currently, I don’t know how many percent left on device battery (1200 mAh), so I can’t trust use it in important situation. 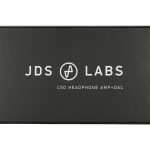 External power will have more reliable, good consistent noise performance (like as your already post: http://blog.jdslabs.com/?p=1591/dacs-external-power-vs-usb-power/). – Support balance output. Because, currently have many headphone,inear,earbud,… use balance connector. – Upgrade battery capacity (currently is 3.7V 1200mAh), I think 3000 mAh – 6000 mAh is good enough, and with larger capacity, fast-charge is also necessary, too.